Practical and useful grinder for home. You will save time, money and inconveniences. 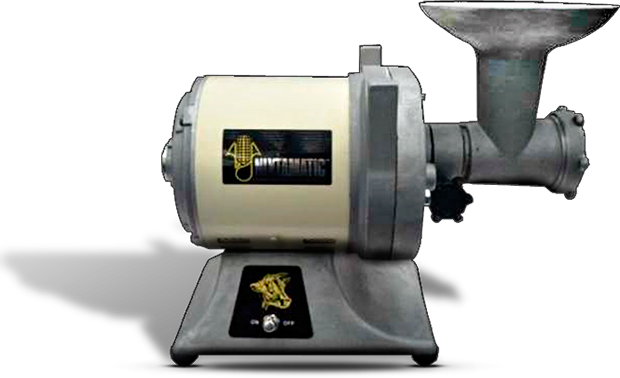 Furthermore, the Nixtamatic Meat Grinder offers the highest quality and hygiene necessary allowing use your own ingredients. Plug your NIXTAMATIC Grinder to a127VCA contact, switch on the bottom (OFF-ON). Put the meat over the trap tube. If necessary, press gently the pushing bar. 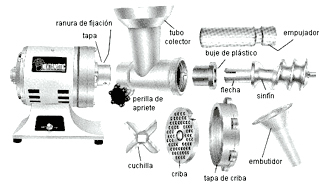 You need to place the sieve lid into the grinder machine for scoffer use. Place the trap tube sitting on the lid, tight up the security handle coordinated on the groove motor lid and then tight up the subjection handle even the tube remains fasten on the lid. Place the plastic axle over the spire and the spire into the trap tube as far as to lean on the spire, then place the cleaver on the spire square, flat side on the outside, at once place the sieve on the cleaver and conclude screwing down the sieve to form a whole.